(8″ round serves 8-12) Two layers of UltramoistTM chocolate cake, sandwiched and frosted in vanilla buttercream frosting. 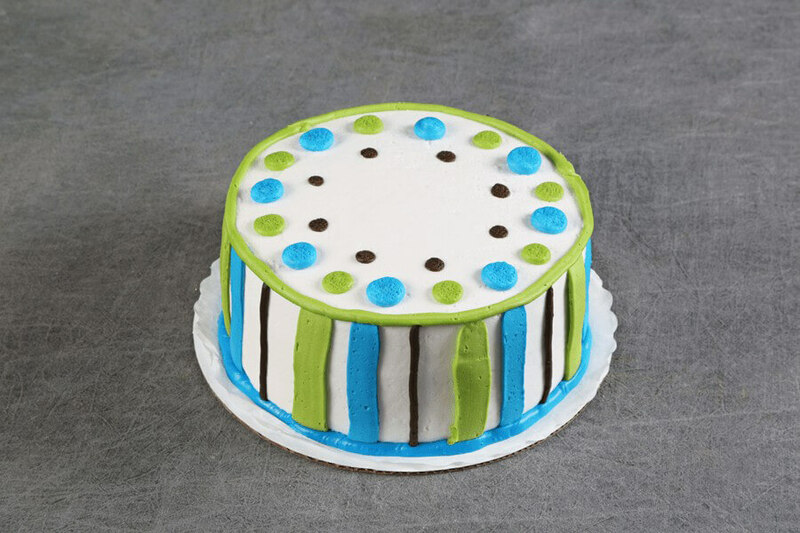 Decorated with stripes and dots. (8" serves app 12) Two layers of slightly bitter red UltramoistTM chocolate cake engrossed with cream cheese frosting and finished with Oreo cookie pieces and crumbs. A wonderful combination of sweetness and tartness. (6" round serves 4-6) Four layers of slightly tart pink UltramoistTM cake filled with our homemade champagne filling (no alcohol); frosted in vanilla whip. Finished off with pink flowers.